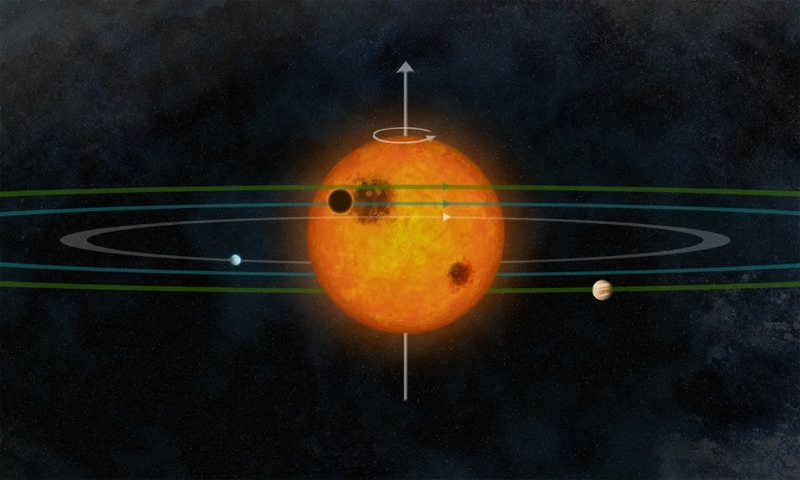 Scientists have discovered the first exoplanetary system with regularly aligned orbits similar to those in our solar system. Located at the center of this system is Kepler-30, a star as bright and massive as the Sun, which rotates around a vertical axis and has three planets that have orbits that are all in the same plane. Their findings, published in the journal Nature, may help explain the origins of certain far-flung systems while shedding light on our own planetary neighborhood. Be the first to comment on "Scientists Detected Exoplanetary System with Regularly Aligned Orbits Similar to our Solar System"